Those who are originated from Miri may know the greatness of laksa in Krokop area which used to be at Krokop 2 near the river. For those who are curious where they have moved, whether they are closing down for business, here's my answer to you: They have moved to a new location, bigger space, and they are growing. Famous for their hand-made noodles and laksa, this place are packed with customers pretty much throughout the whole morning. 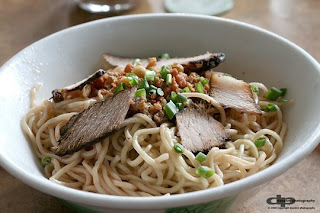 As mentioned, the noodles are different from many places that you have tried before. It is slightly bigger than normal noodles which are supplied by major noodle factories in Miri. The taste i reckon is better and goes well with the way they served it. Price wise i think it is just the same as normal kolok mee you have tried elsewhere. 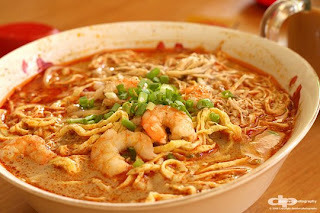 Laksa is also one of their highest demand dish everyday. Taste is good and most importantly it is not too oily. Quite a big serve for laksa and maybe that's why many of us in Miri like this place despite the limited carpark space they have. been there. would still prefer those original curly type of noodle than those made by big noodle factories. Tried their laksa, I reckon the one at krokop 10 behind the pasar tamu taste better than them. 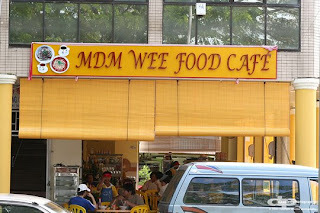 the mdm wee's laksa is from krokop 2.... ic. anyway... i am still searching for penang kueh tiao previously in jinwood opposite the king's karaoke. hmm...will go try it out. 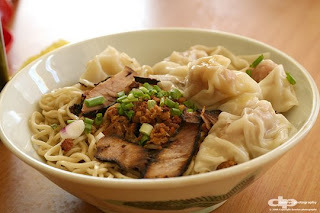 actually the kolok mee...is used to sell at open air too...bt after the madam wee cafe open, they close the open air stall. No Map!!! At least provide actual shop address to us. Hmmmm..I don't like thier hand made noodle. Same as my mum she also said so. nth special ler..laksa oso normal lar..quite small bowl de..i like d soya bin ther..